Measure for a Corset - Corseted...for Everyone's pleasure! 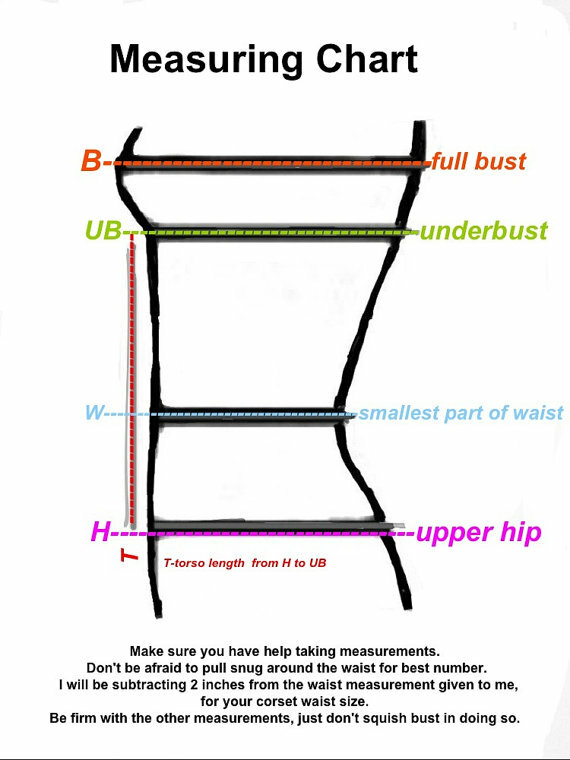 How to Measure for a proper fitting corset. Measuring for your new Generations of Art Corset is a simple process, but should be done correctly for a proper, comfortable and flattering fit. 1) seamstress/tailors or sewing measuring tape. The plastic fully pliable type. 2) pencil and paper to record your numbers. It's a good idea to get someone to help you take your measurements, as if you do it yourself you'll need to bend in order to get some numbers, and that will distort your numbers. Keep the measuring tape snug, but not extremely tight. Once you have all your measurements visit the "order a custom" page, or Contact us to discuss your order!